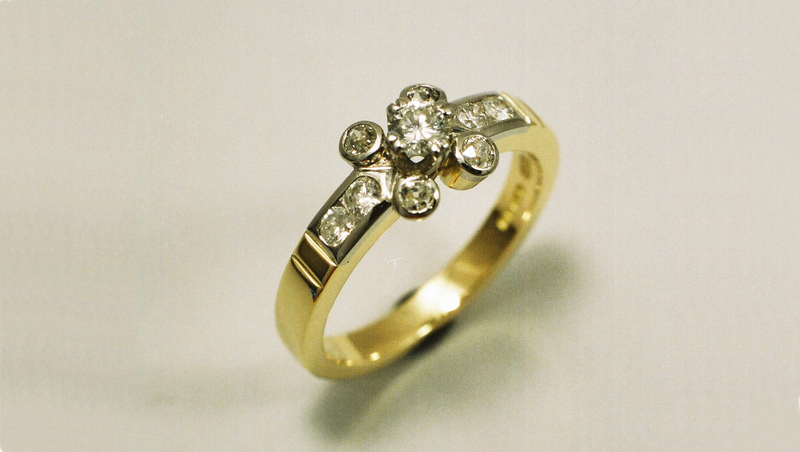 Special commission ring utilizing gold and diamonds from three old worn out rings. 18ct yellow gold was combined and melted to create the main body and new palladium crafted on in which to set the stones. Three different styles of setting: Main stone double claw set, shoulders channel set, outer satellite stones in rubover mounts. A modern yet classic combination.